I remember mentioning in my NARS post before that I think I stumbled upon an early Holiday trend in lipsticks...micro-glitter. Like I said, I first noticed it on NARS and then encountered it again when one of my friends brought home some Dior lipstick for me from Canada. And now here it is again. The thing with these micro-glitter infused liptsticks is that they all react differently. NARS is hardy, Dior is subtle, plump yet bright while T. Le Clerc's stays on indefinitely. 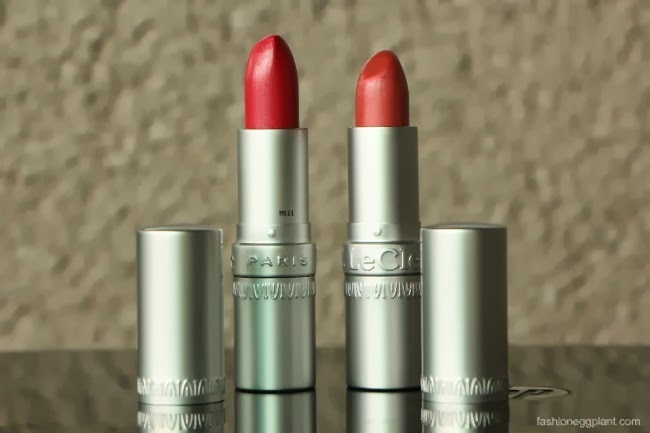 Part of their Holiday 2013 collection, Ironie and Paradoxe take micro-glitter lipstick to a different level by creating lipstick that fades beautifully. 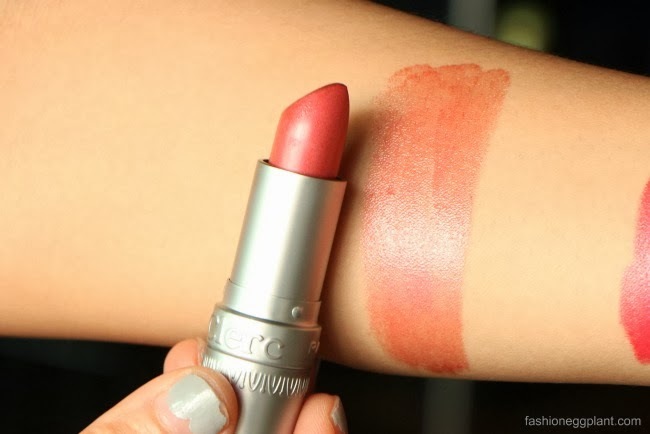 Just like all other T. Le Clerc lipsticks that I've tried, their texture is ultra creamy and dreamy. However, both are not so much long-wearing. That isn't always a bad thing though...what I don't like about most long-wearing lipsticks is that they tend to look awful when they do wear off usually leaving a dark outline around my lips. I'm not always aware of wether my lipstick is still perfectly intact or not so I'm often caught with that unsightly outline for hours. Paradoxe and Ironie however, leave a glitter effect long after your color is gone. The result is really pretty, natural looking yet totally eye-catching plump lips. Paradoxe on the other hand, is my new favorite for the season. The color matches the natural shade of my lips almost perfectly which makes it a no-brainer shade for everyday use. Plus like I said, it's ultra-creamy, unscented, fades beautifully and is just a plain joy to wear all day.